How heavy is a chain shirt? How did children live in the Middle Ages? What were princesses around 1800 aloud to do? 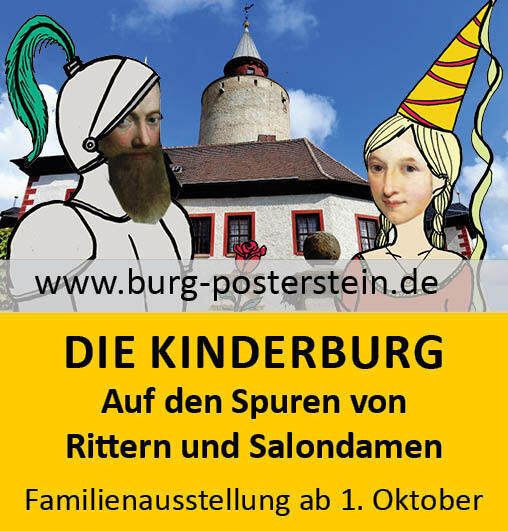 Families, school classes and children are among the most important visitors to Posterstein Castle. In various interactive stations, the exhibitions leads through the mediaeval castle and revives the history of the castle and its inhabitants in a playfull way.